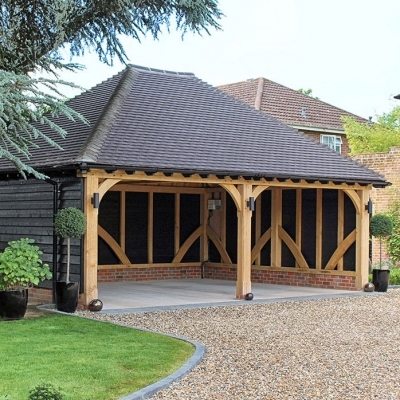 We provide an extensive range of oak garages and/or buildings built to your specification. We are known for our build quality, design and attention to detail. We offer a full turn key service for those who want someone to complete the full process, from initial consultation right through to final installation of your new oak barn, timber garage or outbuilding. For those with access to their own contractors we also offer an oak, frame only service, where you will receive a beautiful timber frame to site, complete with build instructions. For more information or to discuss your project, please don't hesitate to contact us.